Allows all steam to pass through. Perfect for embroideryand all stabilizers. Press without crushing or flatteningfibers and threads. No damage to delicate fabrics. Noscorching, no dark fabric shine. 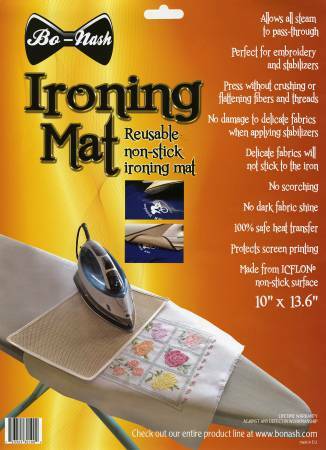 100% heat safe transferMade from ICFLON non stick surface.